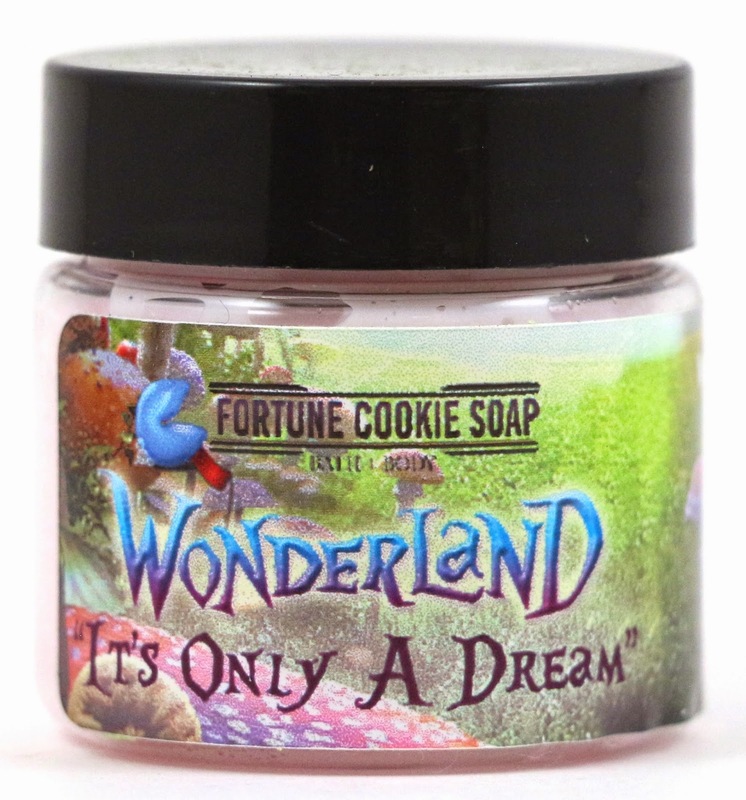 My Spring Wonderland Fortune Cookie Soap Soap Box finally arrived! I watched a few unboxing videos for this box already, and after hearing what others thought about the scents, I had the feeling that I would love everything! Even when I cut open the tape of the box, the combined smell of everything smelled so delicious and spring-like! This is my first Fortune Cookie Soap spring box, and I remember liking some of the spring scents from last year, and wishing I hadn't missed out on them. But this year's collection might be even better! About - Fortune Cookie Soap is a bath and body shop, owned by Shannon and Justin, a wife and husband duo. They've done quite a bit of expanding in the past year, and have a quarterly subscription box, quarterly seasonal releases, quite a few limited edition collections, and they also have a Create Your Own, where you get to decide on the scent for products. 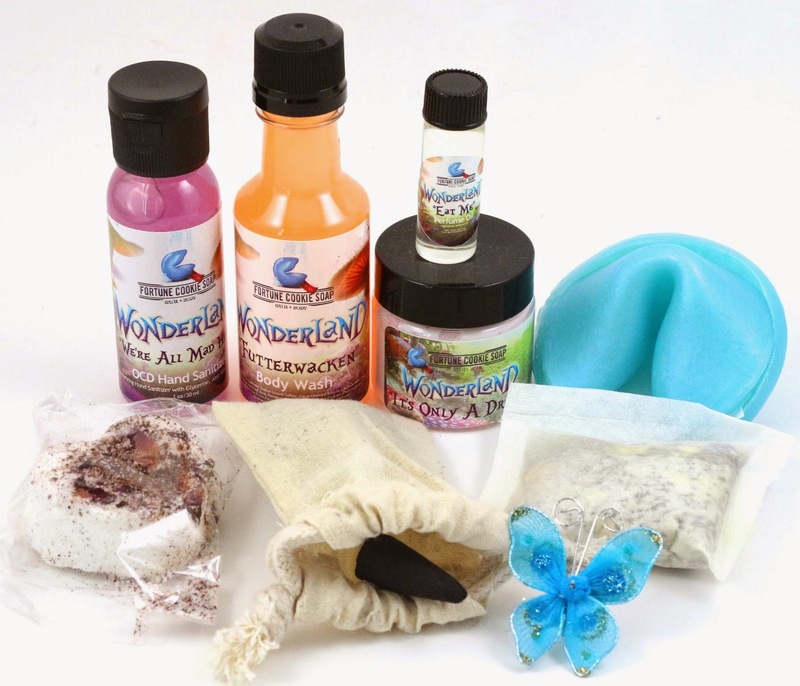 They specialize in their namesake product, the fortune cookie soap, as well as, bath bombs, body butter, scrubs, hair oils, wax tarts, and all kinds of other bath and body products. Shipping - My box shipped 2 days after the Soap Boxes started shipping, and arrived in 1 day via USPS from Oklahoma to California. Product Size - Everything in the quarterly Soap Box is in a smaller sample form, except the Fortune Cookie Soap which only comes in one size. And the perfume oil and OCD hand sanitizer are in the smaller sizes that you can purchase on the site. There are a few new products in this box, but I'm not sure what the full size will be like when they go on sale. Free Samples - Usually there are no free samples included with the Soap Box, but we did get a little butterfly decoration. And of course every box includes a $10 off coupon code to use on anything you'd like in the shop. This quarter was the first time they sent the code in an email instead of attaching it to the info card. I love their printed info cards, they are always so beautifully designed, and this one looks great too. Almost Alice Fortune Cookie Soap - "Fresh green snap peas and juicy pears brighten this bouquet of sweet pea flowers, and freesia, sprinkled with ripe berries." 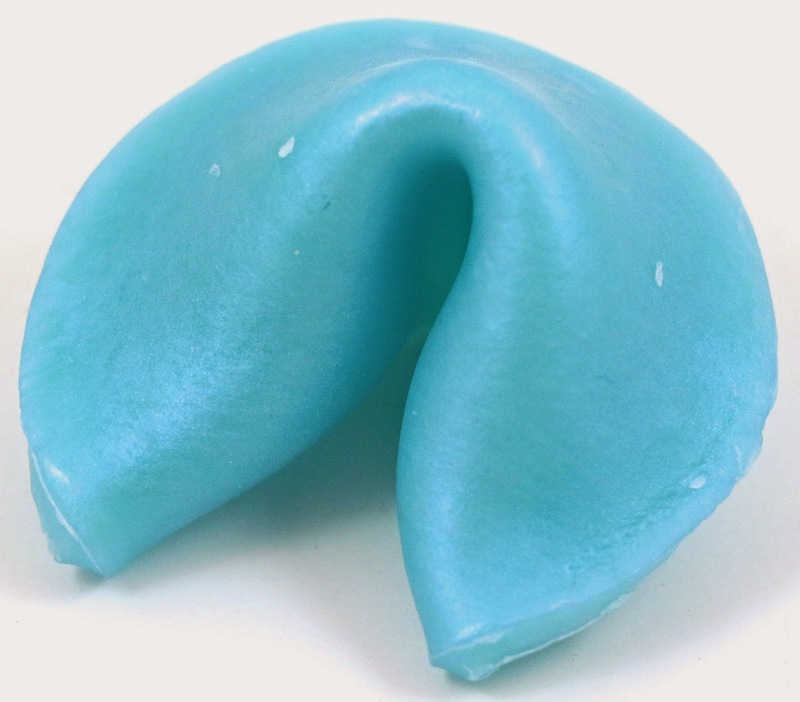 I always have a hard time picking out notes in the Fortune Cookie Soaps, because they always just smell like soap to me. Very few of them can I actually pick out notes. This one smells fresh and soapy. I get maybe a bit of florals, but nothing else. Twisted Tea Party Bath Tea - "A light, refreshing green tea with notes of sweet herbs, vanilla bean, cucumber, golden amber, and hints of neroli and geranium, stirred with a bright sprig of spearmint." 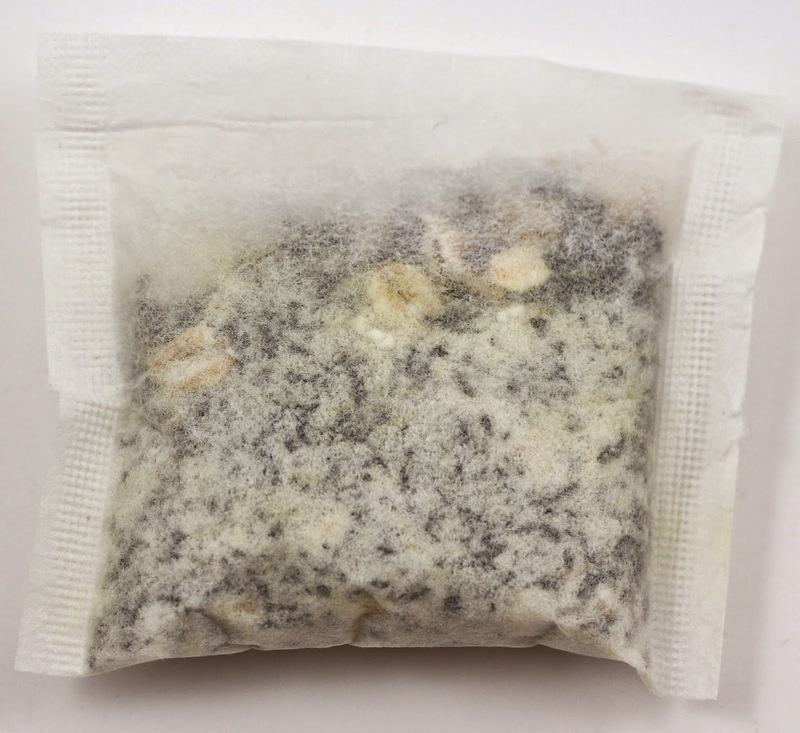 This does smell like an actual tea you could buy, but it's for the bath! I kind of get the greenness of the cucumber and herbs, but I don't really care for this scent. Not my favorite. And I don't take baths enough to justify buying more of this bath tea. 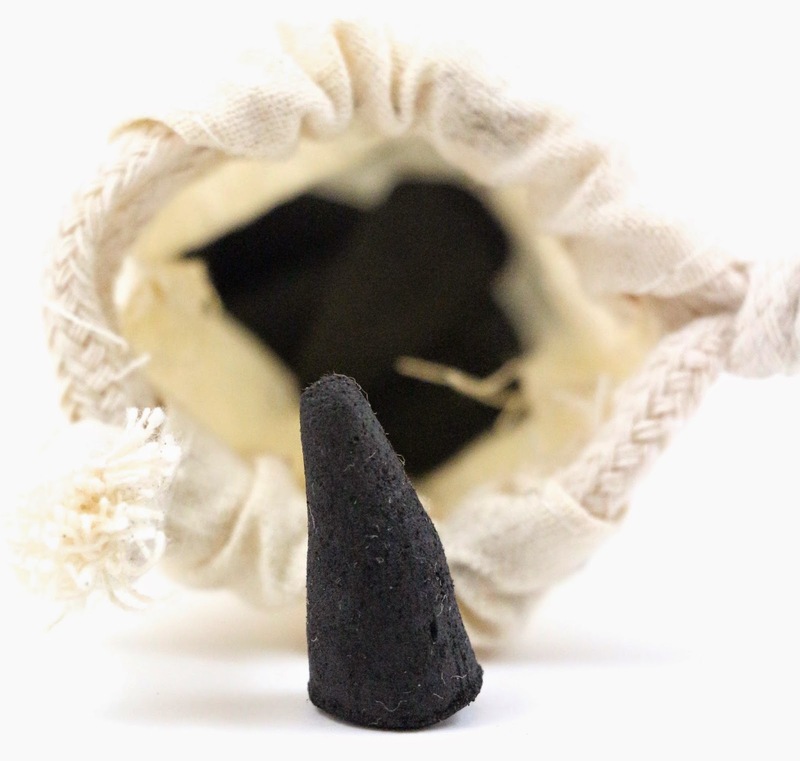 Who Are You Incense Cone - "A mysterious mixture of crisp, ripe, pear twisted with tart limes, vanilla orchid, and dash of raw cane sugar." I really like this, I think this is one of the scents contributing to the lovely aroma when I opened the box. It it sweet, and vanilla-y, and I think I get a bit of the pear. I would love this as a perfume, I hope this scent is available during the launch in that form. I used to like incense cones when I was a teenager, but I don't really use them anymore. I'd love if Fortune Cookie Soap did candles, because then I might be able to finally get away from Bath & Body Works redolent clutches. It's Only A Dream Whipped Cream - "Calming verbena, lemongrass, calla lily, and citrus blended with leafy greens, yang-ylang, rosewood, and ozone; with hints of soft musk and roses." I really love this scent, it's super florally though so you have to be into that to like this one. I get more of the lemongrass on the skin and the green notes in this, and a bit of the musk and rose. It's quite lovely, this is another I would like in a perfume. 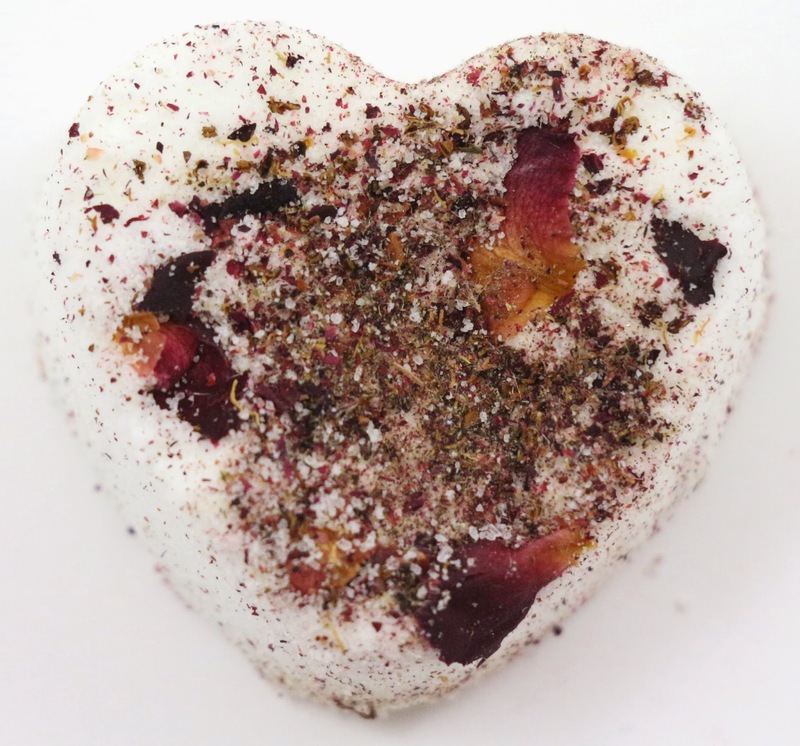 Off With Their Heads Bath Bomb - "Groves of Meyer lemons and succulent oranges mingle with a perfectly manicured garden of wild roses, violets, and star jasmine perfumed with romantic tones of bergamot and Egyptian musk." I was sad that the dried rose petals on my bath bomb were all crushed. This is a citrusy scent with a bit of floral. The lemon note is right up front, I like this scent. I don't know if I'd want this in any other kind of product though just because I have a ton of lemony perfumes. I'd probably buy this scent as a Shower Steamer though, they have quickly become one of my favorite Fortune Cookie Soap products. Futterwacken Body Wash - "Sun warmed lilies brightened with a splash of grapefruit and a breath of fresh air." This is another favorite, it reminds me of a creamsicle. Except with grapefruit. At first it's so sweet that you think it's oranges instead of the tart grapefruit note, but after smelling it again you get that distinct tanginess. It's so yummy, this is exactly the kind of scent I like for body wash, so I might be tempted to get the full size of this exact product and scent. But also perfume because I can always justify buying another perfume. This also might be good as a Shower Steamer, so I would love if it was available in that product. Eat Me Perfume Oil - "Scrumptious yellow cake with a fresh slathering of rich, creamy vanilla frosting, topped with fresh white pineapple slices and garnished with a sprig of blooming cilantro." I absolutely love that we got such a generous 1 dram sample size for this perfume, as opposed to the tiny bottle we got for the Fall box. You can certainly pick out the pineapple in this scent, it's the star of the show. I get a bit of the sweetness from the frosting, but it doesn't smell enough like cake for my liking. It's very heavy on the pineapple, as opposed to a touch of it in the background. As it wears though you get more of the cake and frosting, but it starts to turn a little weird on my skin. I'm not sure I like this scent. It's ok, but I think I'm getting too much of the cilantro peeking through, and the cake and pineapple aren't being amped as much. We're All Mad here OCD Hand Sanitizer - "Playful mint waters and natural leafy green notes perform a masterful balancing act with musky rich cedar wood." This does have a bit of sparkly mica in it, so be aware of that. On the skin, this smells very fresh, and I can pick out the cedar wood lingering in the background. It gets a little muskier, but I really like this. This is another I would probably get in a perfume, I just love these sorts of scents for perfume. Overall, I actually really liked this Spring Soap Box. This was exactly what I was hoping to get out of my first Spring box from Fortune Cookie Soap, lots of fresh florals, and citrusy scents. I don't even know if I have an absolute favorite, but I really liked Who Are You, It's Only A Dream, and Futtenwacken. I will most likely be buying more of those scents in at the Spring launch, and maybe a few others depending on what kinds of products they have the scents in. My go-to products to buy are the Shower Steamers, perfume, and Foaming Hand Soap, but I might also grab more Futtenwacken Body Wash, and maybe one other kind of product depending on what's available. I usually get wax tarts, just because they are cheap, but I don't find them to be very good at scenting the whole room. I also really appreciated that we got a substantial perfume sample for this box. I thought on the whole that this was a nice collection, a good mix of products, and some interesting new kinds of products for Fortune Cookie Soap. Customer Service - I did not have to contact customer service regarding any problems with my Soap Box. Availability - All of these scents in various products will be available after the Spring Launch Party which starts at 6:30 PM CST on February 27th! 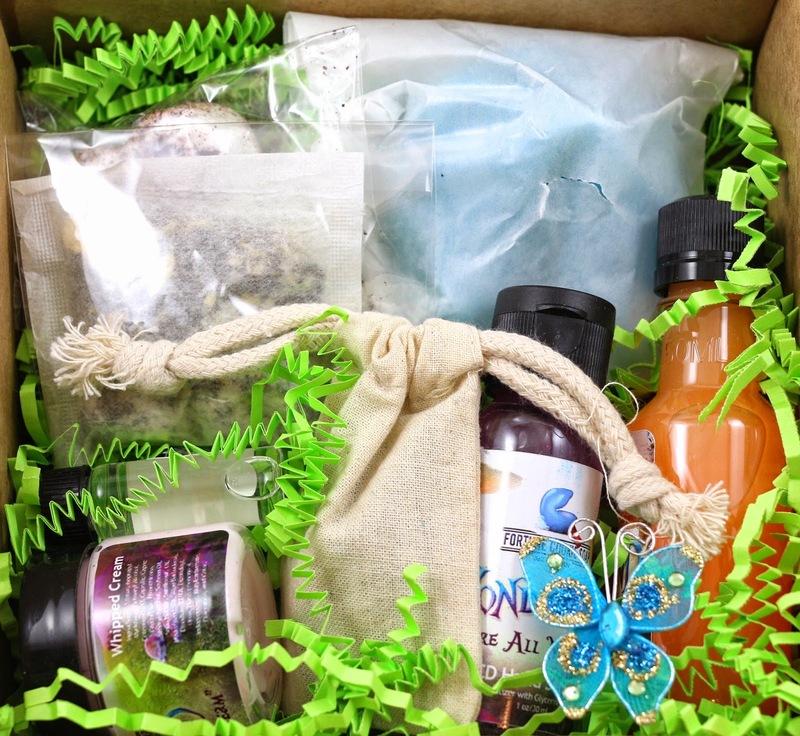 The Spring Soap Box is sold out, but you can sign up for the Summer box here. Overall Satisfaction - My favorite scents were Who Are You, It's Only A Dream, and Futtenwacken. I'll be at the Spring launch, deciding what to get with my $10 off box coupon code! Such a great box overall. What did you think of the Fortune Cookie Soap Spring Soap Box? What are you getting at the Spring Launch Party? Let me know in the comments! 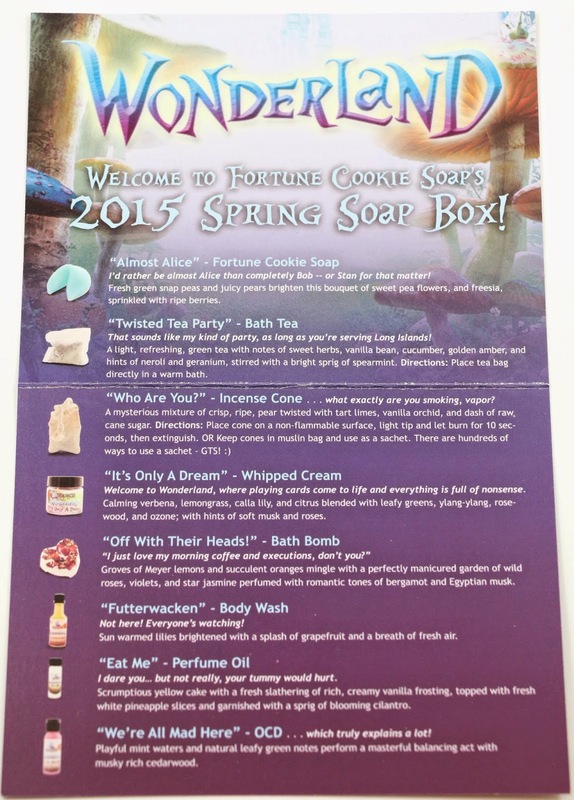 Here's my Fortune Cookie Soap Spring Wonderland Soap Box unboxing video! This was my first Fortune Cookie Soap box ever and I'm in love with the Who Are You scent! I haven't burned any yet, but it's doing a great job making my room smell good just by sitting on my night stand :) I'm also thinking of picking up the full size Futterwacken body wash. I love creamsicle scents! I think this was a great box to start off with! I loved all of it, just some more than others. I have heard they always do great spring boxes, and this was my first! I am always fond of spring scents. Futtenwacken in so good!